Using intrigue to drive traffic to your post is one method of encouraging visitors. But, having the ability to write catchy titles is not going to help you grow the responsive audience you need. Although arousing curiosity has proven to be (somewhat) effective, remember that “curiosity killed the cat” and if you’re not careful it just might kill your content too. Sure, it’s nice when people land on your site because the title intrigued them, but you do not want to base your entire content strategy on the curiosity factor. Instead, wouldn’t it be nice to have the ability to create content that danced into your readers’ hearts and inspired them to take action every time? It is difficult to recreate this ideal scenario week after week, not to mention day after day. But, that is still no reason to rely on just a catchy title to arouse the curiosity of your audience, and drive traffic to your posts. So, that said, how do you keep your content from getting stale and unappealing to your readers? It’s the way your creativity in your content compels them. These may be stuck in a rut, and I want to help you get it out. It was an old rattletrap that I scrounged enough money for when I turned sixteen. More or less a “fishing vehicle” so I didn’t have to ride that stupid bike without a seat anymore. I’ll never forget my first adventure with “The Car”. My friend Kevin and I were taking it up to a fishing hole in the mountains to try it out. As we plowed up the mountain road, running over small trees and bushes, I made the correct assumption that this car was just like a tank! When we started over the other side of the mountain, I noticed that one of the frills missing from the car turned out to be the brakes. Immediately, I saw why there was no door on the passenger’s side. Some passenger had undoubtedly kicked it off in haste to abandon the car on a downgrade. Only two factors prevented me from leaping out: (1) a fierce determination not to abandon my friend, and (2) total paralysis. Sitting on the seat-less floor of the car, I could look down through gaping holes and see the earth rushing past a few inches away. Even worse, on one turn, I could see the sky rushing past. Somehow we managed to get to the bottom of the hill alive and without flipping over. Even though we hadn’t wrecked, the car looked like a wreck to someone on the outside looking in. To me, the car was a thing of beauty, even though I did have to sit on an old phone book just to drive it. Sometimes we get “content goggles” and can’t see what other people see in our content. This usually comes from writing the same old style day after day without trying new techniques. You have to remember that since content is one of the power motivators online, there are many different areas that you probably haven’t explored with your content yet. Learning how to vary your blog writing styles will help your readers better understand your content and see it in the same way you do. This is the first step in the creative to compelling process. Are you answering a question? Is it exciting and entertaining? Don’t allow yourself to fall into the bad habits that some creative people allow themselves to fall into. When you see a really creative person, it just means that they have been successful at crushing the bad habits that tend to rear their ugly heads. Understanding your readers, and where your creativity needs to arrive for maximum results in your writing, is the task that you have to fight with every time you sit down to write. Aside from learning how to be a great storyteller in your articles, the next step is to understand how to create compelling content. Another great tip to learn is how to create compelling content when you have no clue how to create it! Every great writer struggles from time to time with what to present to their readers. When you are stumped, don’t let that stop you. There are still ways to make this work for your readers. Talk to your friends in the blogging industry that you are in and curate ideas by using a discussion about the different topics they have been writing from time to time. Learn how to use other people’s ideas and make them your own. That’s where the creativity comes in handy for yourself. No one can write quite like you, so when you take someone’s idea about an article that has already been written, I guarantee that you can write it differently because of your original view and perspective. Creativity is just a matter of seeing things differently. One of the obvious things that you should be doing when you’re stuck at creating compelling content is to ask your readers what they want to see. This has always been a great go-to idea for me personally because people will tell you what they are having trouble with. Understanding this idea even further is when you start to recognize that when you narrow this down, these ideas that they will give you eventually target most of the marketing spectrum. Your audience will tell you what you need to do to create content that prompts action from them. All you have to do is ask. There is always room for improvement in your writing. Taking the necessary steps to ensure that you are always bringing the best content possible to your readers will help you in the long run. Some of the tips that most bloggers will give us in order to make the necessary changes are in writing drills, reading, discussing, and planning. If your writing is suffering, take a step back from the normal plan and see what you can do different this time to improve. One of the best ways to create that content that compels the readers to react is to do an interview with one of your favorite bloggers/marketers. I say bloggers/marketers because these people are in my industry, but concentrate on the people that are in your niche. This will help you get a different perspective on compelling content. I have always enjoyed interviewing Jay Baer because his ideas always generate a plethora of content for me afterwards. One question that I asked him sparked a social movement that resulted in blog posts being written and discussions being made. Listen to his response at the question and you will see what I’m talking about. 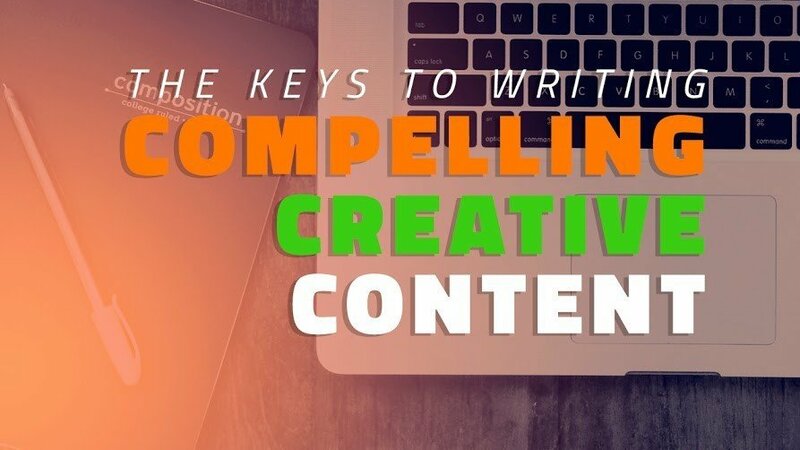 We have an obligation to our readers to take our creativity and sharpen our content writing so it compels them. It’s always about action after every blog post. Whether that action is to subscribe to something or if it’s to compel them to gulp down our content for inspiration to take action for themselves. You have to have the right mixture of creativity along with content that builds rapport with your audience. We are hungry for solutions, starving for answers, and you have the opportunity to create and inspire the people with these needs every day. Creating compelling content is something that you can learn over time. Revealing creativity in your writing, and learning how to stay away from those bad habits that can prevent your success, is something that comes from within. Sometimes the only thing standing in your way, the only thing that blocks you from getting to where you need to go with your readers, is you. When it comes down to breaking those bad habits that we are so used to doing every time we sit down to write, you are your own worst enemy. The reader is there, ready and waiting for your content to bring them to the answer. Take the “Content Goggles” off and write the way you know you should be writing. It’s not the content that is the same old, everyday, content. It’s content that inspires people to act because the written word has compelled them to do so through your creativity.